As we age loose skin, fat deposits and weakened tissues beneath the skin cause the face to sag, principally along the jawline and into the neck. Facelift surgery lifts and tightens the underlying tissues of the face to reduces sagging and excess fat deposits. The procedure involves the tightening of the facial and neck skin, the muscles, and the removal of excess skin. Often, the procedure is done in conjunction with other facial cosmetic surgeries, such as a brow and forehead lift, blepharoplasty (eyelid surgery), chin augmentation, liposuction, and rhinoplasty (surgery of the nose). Before facelift surgery, your medical history is evaluated to determine your general health. Dr. Jeffrey Marvel will discuss how you want your face to look and what results can realistically be expected from the facelift. The procedure can be done under general anesthesia with the patient asleep or local anesthesia in which the area is numbed, and the patient remains awake. Pre-medication for the facelift procedure is usually administered to relax the patient. During the facelift procedure, the surgeon works on only one side of the face at a time. Incisions are made inside the hairline at the temple, running in front of the ear, then around the earlobe and behind the ear, ending in the hair of the scalp. Loose skin is separated from underlying tissue and is pulled up and back, and excess skin is removed. Connective tissue and sagging muscles are tightened, and in some cases, fat deposits are removed from beneath the chin and neck. This may necessitate an additional small incision under the chin. Tiny sutures are used to close the incisions. A rhytidectomy or facelift may take three to five hours or more depending on whether other procedures are done at the same time. Preoperative facelift instructions may include the elimination of certain drugs containing aspirin for several weeks before the facelift surgery to minimize the possibility of excess bleeding. Antibiotics may be prescribed to prevent infection after the facelift. Patients may be instructed to shampoo their hair the night before facelift surgery, and a small amount of hair at the temples or around the ears may be shaved before the procedure. After surgery, loose bandages that are applied to the area are removed within a few days. Patients who had the procedure performed in a hospital are released the day of surgery or after an overnight stay. Pain connected with facial surgeries are minimal to moderate and controlled with oral medication. Your surgeon will determine when your sutures should be removed. This may be done in stages in order to minimize scarring. Scars from the facelift incisions will fade significantly with time and are, for the most part, inconspicuous because they are made within natural creases. The amount of improvement you see after a facelift varies, depending on the initial condition of the patient and the extent of facial surgery. In most cases, a single procedure achieves the desired results, while in some cases, additional facial procedures may be indicated. 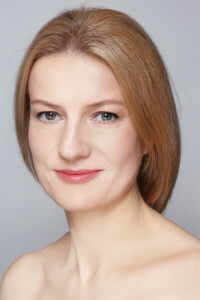 Most patients who have had a facelift are delighted with their more attractive, rested appearance. Each year, thousands of rhytidectomies or facelifts are performed successfully. 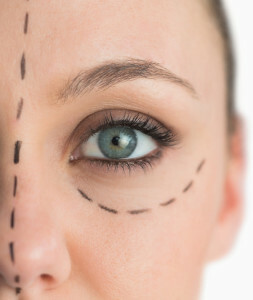 Complications connected with this facial surgery are rare; however, there are certain inherent risks connected with every surgical procedure, which should be discussed with the physician prior to surgery. Patients can minimize complications by carefully following directions given by the physician.